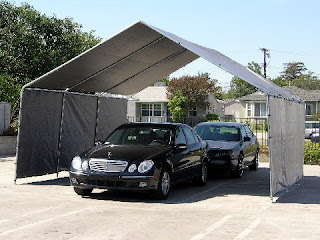 Tarps Plus Blog: Summer Is On Its Way, Are You Prepared With Shade? Summer Is On Its Way, Are You Prepared With Shade? Time is flying by and guess what? summer is almost here, don't start summer without the proper shade. Here at Tarps Plus we make the perfect shade possible. Our Tarps can help provide shade to schools, hospitals, church's, buildings, your home or business. Tarps are great for shade, with UV protection on both sides its impossible to beat Tarps Plus Tarps. All Tarps are water resistant, and come in different thickness. The #1 Item for shade for most homes is the Tarp Tent, it is great to take on outdoor events or to keep at home or it really can be set up any where. Many sizes and colors are available in Tarp Tents and we will give you good peace of mind with our 5 year warranty! That's right 5 years are guaranteed that this Tarp tent will do just what it is meant to do, provide shade with a long lasting Poly Tarp and strong heavy duty Frame. Check out all Tarp Tents now at www.Tarpsplus.com. My Order for my white Tarp Tent worked out great.